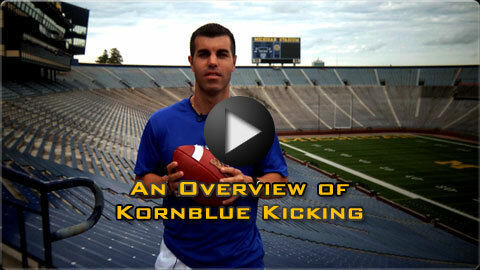 Do you want to take your kicking, punting, or snapping to the next level? Most football coaches lack the specialization necessary to improve their specialists. Kornblue Kicking has the knowledge and experience to help. Are you looking for more recruiting exposure? Our “Fab 50” National Ranking of kickers, punters, & snappers is promoted to college coaches around the country. Dozens of Fab 50-ranked athletes are offered scholarships each year! Camps, showcases, group training sessions, and private lessons are scheduled year-round in more than twenty cities around the country. In addition, Kornblue Kicking is the official selection partner for the Pro Football Hall of Fame’s World Bowl All American Game. View the calendar under our events tab at the top of the page for exact dates and times.